Learn why this Japanese staple makes everything taste so good. 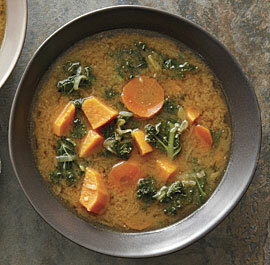 I fell in love with miso as a teenager, when I was studying cooking at a macrobiotic center. In this largely vegetarian diet, miso stands in for meat to provide the mouth-filling savoriness known as umami. When I became head chef at a vegan restaurant, New York’s Angelica Kitchen, and was writing vegetarian cookbooks, I turned to miso to make flavorful dips, dressings, spreads, and pickles. As I moved into a flexitarian diet, I started curing fish and meat with it. It’s my secret weapon in the kitchen, but I’m willing to share. Miso is a Japanese condiment that originally came from China. Doujiang, the Chinese predecessor to miso, was invented as a way to preserve soybeans. The plant was an important crop for replenishing soil, but the beans spoil quickly. The Chinese turned to fermentation to preserve the beans and keep them edible. The Japanese took that idea and made it an art form. Inspired? Browse a slideshow of miso recipes. Miso is made from a mash of cooked soybeans and grains (usually rice or barley) mixed with salt and a fungus called Aspergillus oryzae, or koji in Japanese. This mixture is left to ferment in crocks anywhere from a few weeks to over a year. 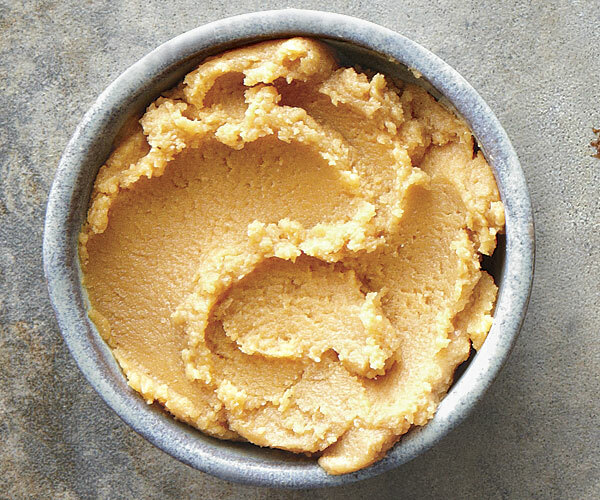 It may be pasteurized, which extends its shelf life but kills some of the enzymes that make miso so nutritious. After that, it’s packed in bags and jars, and distributed to markets. It’s generally kept in the refrigerator, where it can last a very long time. Even after it’s opened, a container of miso can last up to a year covered in the refrigerator. What does miso taste like? There are many types of miso. Depending on how long it’s aged, the type of grain, and the proportions of the ingredients, the flavor can be sweet or salty, mild or pungent. The variety can be a bit confusing, but it’s easier to navigate than the worlds of cheese or wine. Start just by looking at the color of the miso, which is a good indicator of how strong it will be. There are two broad categories: light and dark. In North America, the most common misos are made with white rice (this is called kome), so that’s what you’re buying unless the package states otherwise. Light misos (shiro, in Japanese) are mild and slightly sweet. In general, these white and light yellow misos have less salt and more koji. 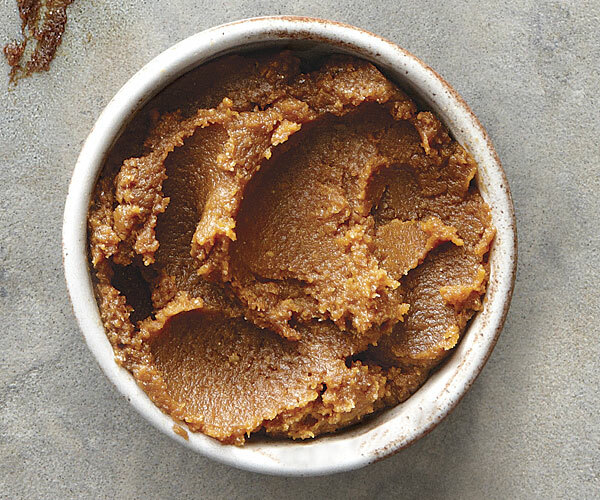 That speeds up fermentation, so this type of miso is aged less for a sweet, lightly fermented flavor. Dark red and brown misos (aka) have deeper flavor. This category is made with more salt, which allows for longer fermentation times—generally one to three years—and the development of complex, umami-rich flavor with a bit of funk. In addition to the most common red aka miso that’s made with white rice, it’s generally easy to find brown rice miso, called genmai in Japanese, which is an earthier alternative. This thick paste packs a lot of flavor, so a little goes a long way. The only time you would use it on its own is as a rub for meat or poultry, where it acts like an exceptionally flavorful marinade and is rinsed or wiped off before cooking. More often, it’s combined with other ingredients to balance its potent flavor. 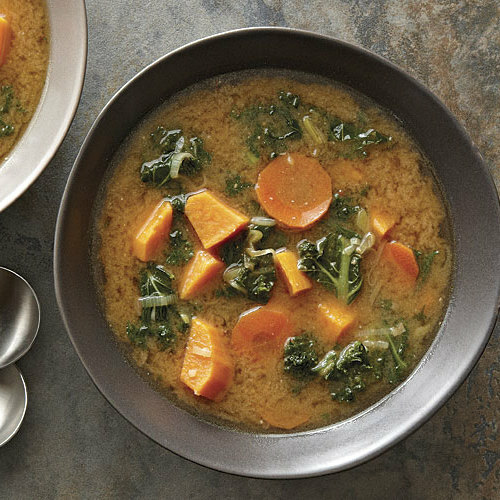 Miso can be simmered in soups, stews, or braises—just be sure to dissolve it in a bit of hot liquid before adding it to the pot so that it doesn’t sink to the bottom and burn. 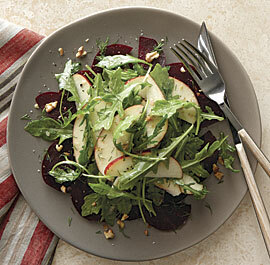 It can also be used raw, whisked into vinaigrettes, sauces, and dips. There’s as much versatility in pairing misos with other foods as there is in how to use them. On the following pages, I’ve shared some of my favorite ways to use the more common types: White miso enlivens the vinaigrette for a fall salad of beets, apples, and bitter greens; red miso combines with kombu dashi to become a deeply flavored broth for a satisfying vegetarian sweet potato and kale soup; and brown rice miso makes duck legs succulent and savory. These recipes are sure to start you on a long-term love affair with miso, as I’ve had. Flavor profile: Mild, with balanced sweetness, saltiness, and umami. Suggested pairings: Tart, acidic flavors like citrus fruits, apples, and mild vinegar; slightly bitter or peppery flavors, like mild greens; fish. Flavor profile: Rich and salty, with a strong umami kick and pronounced soy flavors. Suggested pairings: Earthy flavors like root vegetables; bitter greens; nuts. Flavor profile: Nutty, earthy, and salty. 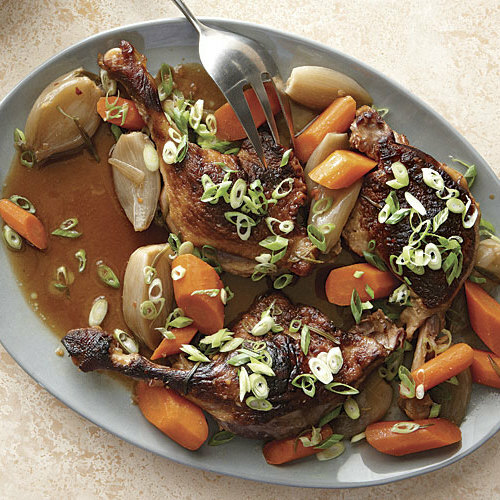 Suggested pairings: Red meat or rich poultry; other umami-rich flavors, such as mushrooms; spicy ingredients, such as chiles. 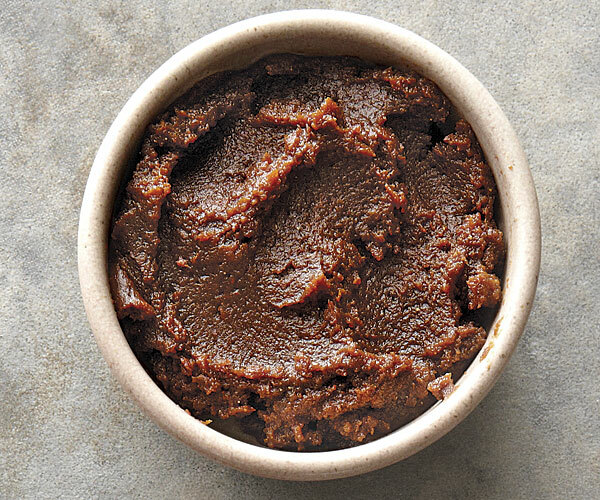 Mugi: Made with barley, this miso can be young, light, and mild, or aged, dark, and strong. It’s sweet, with a pungent odor, and makes a great addition to soups and stews. Hatcho: This is made with just soybeans, and no grains. It’s very dark in color, powerfully salty, and complex. 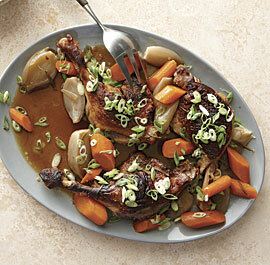 Try it with mild, toasty ingredients like rice and sesame. Inaka: Dark or light, this is made with soybeans and grains that aren’t ground up completely, so it has a chunky texture, which makes it an interesting topping for fish.